Do you know what you are eating… or SHOULD be eating???? 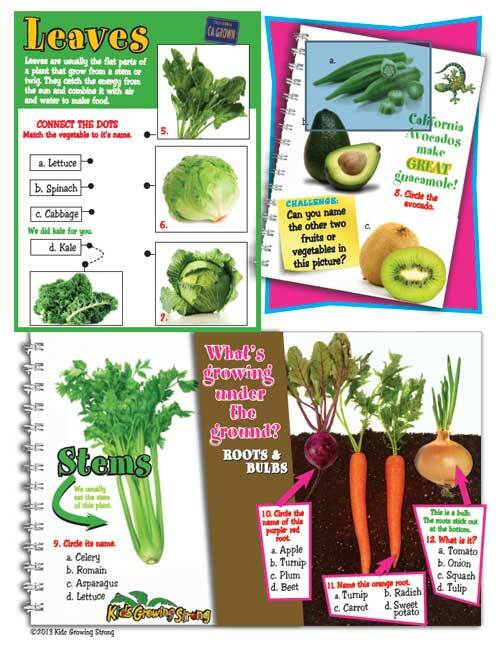 In 2013, Kids Growing Strong created and administered a fruit & and vegetable identification quiz for the U.S. Dept. of Agriculture to establish a benchmark of knowledge for kids in grades 2 thru 4. This was not a test of what they learn in school, but rather a general survey to get an idea of how familiar kids in California are with fresh produce. 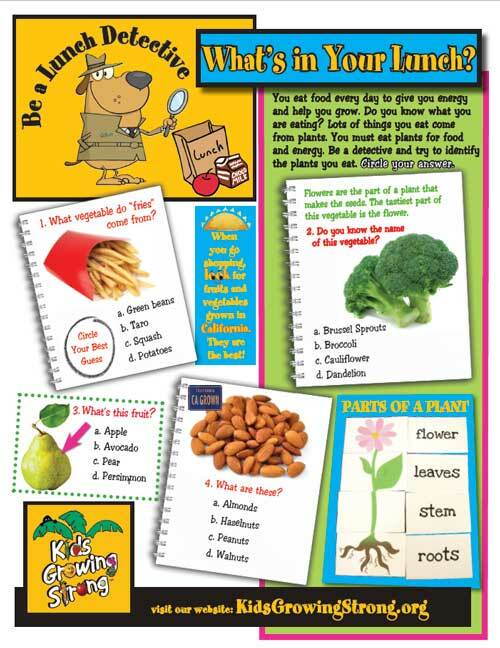 More than 300 teachers throughout California used this fun quiz to find out if their students could identify a few common fruits, vegetables and nuts. Let’s see what your kids know. The answer key to the quiz is below. Or, you can download the two pages in PDF format. Click on the images to download the files Or, you can download the survey form. NOTE TO TEACHERS: Try this in your classroom and send us the results. 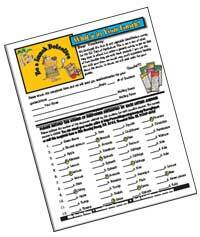 Fill out the survey, return it to us and we will send you free seeds for your garden.